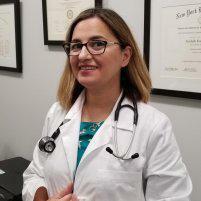 Infectious diseases, like the flu, hepatitis, or strep throat, require the compassionate and comprehensive care that Avisheh Forouzesh, MD, at Advanced Infectious Disease Medical in Hoboken, New Jersey, offers. Dr. Forouzesh provides the latest diagnostic technologies, including blood and urine analysis, to identify the cause of your symptoms and treat them effectively. To learn more about diagnosing and treating infectious disease, schedule a consultation at the Hoboken office by calling the office or booking online. Infectious diseases are medical conditions that result from bacteria, viruses, fungi, and even parasites. You come into contact with a variety of these substances every day, and many aren’t harmful to your health. However, some of these can cause serious, even life-threatening health conditions. Common infectious diseases resulting from bacteria include strep throat and UTIs. 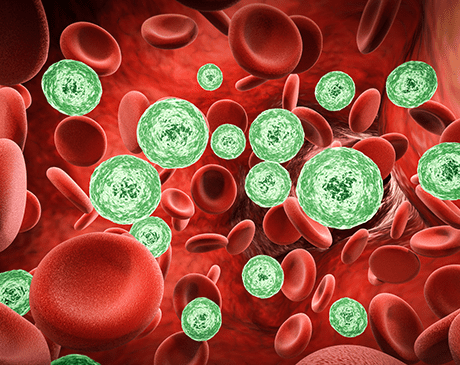 Viral infections can cause a variety of illnesses, including a head cold and HIV. Athlete’s foot and ringworm can develop due to a fungal infection. Certain parasites can cause serious infections, such as malaria. How do infectious diseases spread? Infectious diseases can be passed from person to person. Some are transmitted by a bite from insects or animals and others are transmitted by ingesting contaminated food or water. Person to person transmission of certain organisms can occur via direct contact. This can occur when an infected individual touches, kisses, coughs or sneezes on someone who is not infected. Exchange of bodily fluids from sexual contact can also lead to transmission of infection as well. Symptoms of infectious disease vary depending on the organism but usually include fever and fatigue. Certain infectious disease such as measles and chickenpox can be prevented by vaccines. Frequent and thorough hand washing also helps decrease the transmission of infection. Infections can also spread when consuming food or water contaminated with bacteria like E. coli, or by eating undercooked or spoiled foods. How are infectious diseases diagnosed? Dr. Forouzesh offers a variety of testing options, depending on the type of infection you might have. Initially, she reviews your symptoms and performs a physical examination of visible signs of infection or areas of pain. In some cases, you may need a lumbar puncture procedure to withdraw fluids from your spine for further analysis. Dr. Forouzesh may also use imaging tests — such as X-rays or a CT scan — to view the internal structures of your body and confirm a diagnosis or to rule out underlying medical conditions. What treatment options are available for infectious disease? Some parasitic infections are treatable with medications, while others are drug-resistant. If you have this type of infection, Dr. Forouzesh can determine the best course of treatment plan to address your infection and associated symptoms. Learn more about treating infectious diseases by calling the office or booking online.